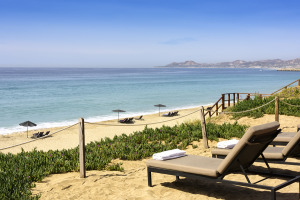 Cabo San Lucas: A Dream Vacation Come True - When you picture the ultimate beach getaway, your mind is filled with images of crystalline water, sandy shores, warm sunshine, and gourmet food. Lucky for you, this dream can be made real in Cabo San Lucas, at the tip of the Baja Peninsula in Mexico. If you want every day to feel like a vacation at a high-end beach resort, then a Cabo San Lucas beach property is perfect for you. Learn more here! Popular with celebrities, this spectacular house opens directly onto the beach. Wake up in the morning, step out your bedroom door and viola you're steps way from the waves washing over your toes! Cabo San Lucas: A Dream Vacation Come True - When you picture the ultimate beach getaway, your mind is filled with images of crystalline water, sandy shores, warm sunshine, and gourmet food. Lucky for you, this dream can be made real in Cabo San Lucas, at the tip of the Baja Peninsula in Mexico. If you want every day to feel like a vacation at a high-end beach resort, then a Cabo San Lucas beach property is perfect for you. 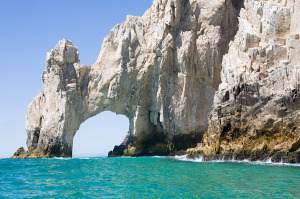 Cabo is rated as one of Mexico's top-five tourist destinations, renowned for its variety and quality of water sports. Playa Medano (Medano Beach) offers swimming, snorkeling, scuba diving, sport fishing, kayaking, boat tours, wave running, parasailing, windsurfing, water skiing, and pretty much any kind of water-based adventure you can dream up. Scuba diving and snorkeling are especially popular in Cabo San Lucas, with options for participants of all skill levels. Depending on the dive spot you pick near your Cabo San Lucas beach house, you may see guitarfish, sea lions, giant manta rays, sea turtles, hammerhead sharks, and coral reefs that are home to over 350 species of marine life. The underwater geography, too, is breathtaking. Beginner snorkelers will enjoy a trip to El Chileno, as this location features calm, transparent waters. Experienced scuba divers won't want to miss diving near Land's End, where they can see The Abyss and The Sandfalls. The Los Cabos area is also a top spot for surfing-even for professional surfers. With four surf beaches within just two miles of each other, boasting different wave conditions and difficulty, anyone from beginner to expert can catch a wave near Cabo San Lucas beach houses. And don't forget about sport fishing, which is available year-round. Over 850 varieties of fish make this area their home, including blue marlin, mahi-mahi, swordfish, tuna, sea bass, mackerel, wahoo, and roosterfish. Cabo is the Marlin Capital of the World, and Bisbee's Los Cabos Offshore Tournament and Bisbee's Black and Blue Tournament are held here each fall. When you're ready to dry off from your day at the beach, Cabo San Lucas has a host of delicious dining options available, from street fare to gourmet international cuisine. Fresh-caught seafood is on the menu, along with steak, enchiladas, and pizza. Sunset Point has been lauded as one of the best dining experiences in a lifetime; while you enjoy delicious Italian food, you get to watch the sunset over the waves. If you are a golf enthusiast, you'll never be bored at a Cabo beach property. Cabo San Lucas boasts a number of competitive courses with breathtaking views. Punta Sur, the area's first golf course, is often referred to as the "fine nine," since this nine-hole course has magnificent views of the Sea of Cortez and the Sierra de la Laguna Mountains. The Cabo del Sol Desert Course and Ocean Course, Diamante Cabo San Lucas, and the El Dorado Golf Course all feature 18-hole courses with incredible views, challenging water hazards, and pristine greens. Nearby San Jose del Cabo has two professional-grade courses: Club Campestre San Jose and Palmilla Golf Club. If your vision of paradise includes enjoying everything a top-notch beach resort has to offer, it's time to make this dream come true in a Cabo San Lucas beach house.